Search Engine Optimization (SEO): Does your website appear on the first page of Google’s search engine results? If not, you are probably losing a lot of business to your competitors. Google controls nearly 90 percent of the search traffic in the U.S. alone and the majority of consumers never venture past the first page. The good news is there are proven techniques to improve your site’s search engine ranking. For example, enhancing your site’s architecture, adding quality content, adding keyword-rich title tags and footer links to each page, using meta description tags, and increasing the number of external inbound links are just a few ways to effectively increase your site’s search engine ranking. Blogs are another great addition to your firm’s website and an excellent way to raise its search engine ranking. There are many blogging platforms that can be easily integrated with your existing website. The most popular ones are WordPress and Blogger. If your website vendor is charging you excessive amounts to create a blog on your existing website, you may want to consider alternative options. Let us explain other cost effective options that are available to you. If you already have a website vendor we can be your trusted SEO advisor and work with that vendor to improve your ranking in the top search engines. Pay Per Click (PPC): A targeted pay per click campaign can drive immediate traffic to your firm’s website. If your particular need is a PPC campaign, Google AdWords is a great place to start. These campaigns can be tracked easily using Google analytics, which use custom landing pages allowing you to track your ROI. PPC can offer you immediate results, targeted reach and flexibility, but only if the right strategy is put in place. At Pristine PR we manage everything from account set-up, keyword research, ad copy creation, bid management, landing page recommendations and ongoing testing. Social Media Marketing: Social media avenues such as Facebook, Twitter, LinkedIn, Google+ and Pinterest have had a powerful impact on the PR industry. It has provided the opportunity for the truly savvy PR professionals to reach their audience, and extend their reach well beyond the traditional media outlets. Whether it’s connecting with your clients, the media or particular organizations of interest, social media has become a powerful tool in reaching across a larger spectrum than ever before. We extend this service to our clients. To us, PR is more than just generating media placements for our clients, it’s about generating business. Any good communications professional today can obtain their client’s media coverage, but are these placements translating into more business? At Pristine PR, our goal is to get our clients more business. Whether it’s through blogging, creating business profile pages, networking on various social media sites or posting timely consumer updates- our actions get results! 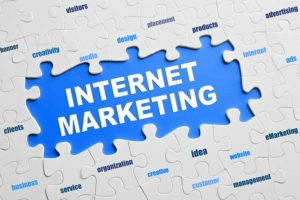 Our search engine optimization campaigns are tailored to each of our client’s distinctive needs. We implement customized strategies based on a thorough analysis of your website and are attentive to your firm’s budget and marketing objectives. Call us TODAY for a complimentary SEO evaluation of your website.